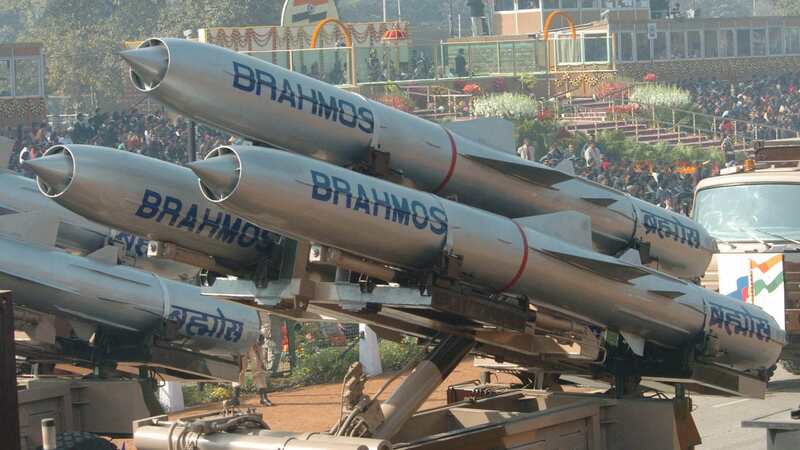 In the recent past, nations like UAE, Vietnam, Indonesia and several others have expressed interest in purchasing the coveted Akash and Brahmos missile systems. India has never engaged in sale of its advanced military hardware to foreign nations. So far, Indian defence exports have been restricted to armaments mostly. CLGM: Cannon launched anti-tank missile. Prithvi-I (SS-150): surface-to-surface ballistic missile. Prithvi-II (SS-250): surface-to-surface ballistic missile. Prithvi-III (SS-350): surface-to-surface ballistic missile. Dhanush (missile): ship-launched surface-to-surface ballistic missile. Agni-I MRBM: surface-to-surface medium-range ballistic missile. Agni-II MRBM: surface-to-surface medium-range ballistic missile. Agni-III IRBM: surface-to-surface intermediate-range ballistic missile. Agni-IV IRBM: surface-to-surface intermediate-range ballistic missile. Agni-V ICBM: surface-to-surface intercontinental ballistic missile. K 15 Sagarika: submarine-launched ballistic missile. K 4: submarine-launched ballistic missile. BrahMos-NG: miniature version based on the BrahMos (missile) (under development). BrahMos-II: hypersonic missile (under development). Astra BVRAAM: active radar homing beyond-visual-range missile. Prahaar: tactical short-range ballistic missile. DRDO Anti-Radiation Missile: air-to-surface antiradiation missile (under development). Barak 8: long-range surface-to-air missile. Maitri (missile) DRDO quick-reaction surface-to-air missile. QRSAM DRDO, BEL and BDL’s quick reaction surface-to-air missile. Pradyumna ballistic missile interceptor: ballistic missile interceptor, surface-to-air missile. Ashwin Ballistic Missile Interceptor: ballistic missile interceptor and antiaircraft missile. Prithvi Air Defence: exoatmospheric antiballistic missile. Advanced Air Defence: endoatmospheric antiballistic missile. Prithvi Defence Vehicle: antiballistic missile.